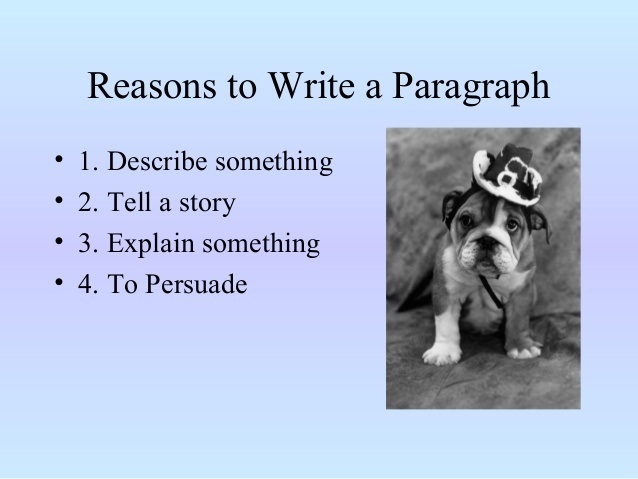 The topic sentence tells the reader what the paragraph is going to be about. Topic sentence example: Mr. Brown must have been a drill sergeant before he became our gym teacher. Formula: A specific subject (Mr. Brown, our gym teacher) + a specific feeling or attitude (must have been a drill sergeant before) = a good topic sentence. 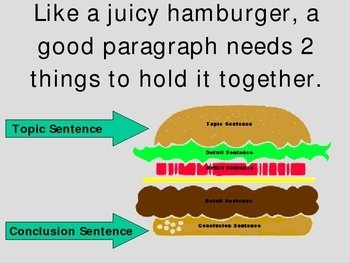 The body is the main part of the paragraph. This is where you tell the reader about your topic by including specific details. 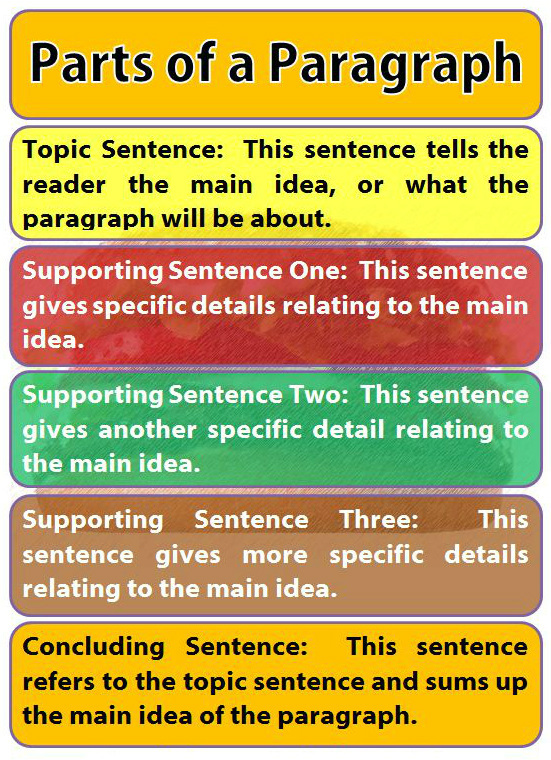 All of the sentences in the body must relate to the specific topic of the paragraph and help it come alive for the reader. Closing sentence example: I'm surprised that Mr. Brown doesn't make us march out of the gym after each class.